The Proper Dive Buddy Check - How Do You Say BWRAF? It’s a sad fact that diver error is a leading cause of scuba diving accidents and, according to DAN, accidents are just as likely to happen to new divers as those certified for several years. 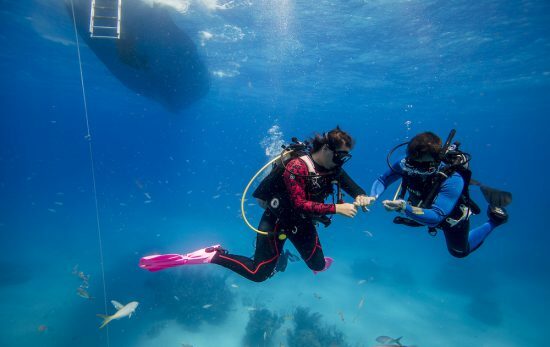 If you find yourself paired with a diver who thinks they’re too special to do a buddy check, remind them it’s much easier to fix a small problem above water than dealing with a big problem underwater. B – BCD/Buoyancy: Make sure everything is connected and functioning properly. Test the inflator button and all of the deflate valves. Dry suit divers should check if their inflator valve is working and ensure their deflate valves are adjusted properly. If you’re unfamiliar with your buddy’s gear, it’s important to know how to adjust their buoyancy. Ask questions. In an emergency, you’ll be glad you did. W – Weight: Ensure both divers have weights and that all weights are secure. Give a gentle tug on BC weight pouches to confirm they’re locked in and won’t fall out during entry. If applicable: check weight belts, rear BC weight pockets and any other places where weights may need to be secured. 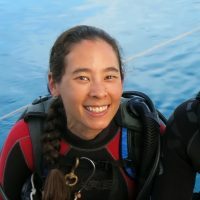 R – Releases: Check all releases to confirm they are secure and tell your diving partner how to open the release if needed in an emergency. Always check the tank strap in addition to other releases such as: BC shoulder and chest straps, a weight belt, etc. Also check to make sure there aren’t any hoses or other items positioned in a way that might prevent a diver from getting out of their equipment in an emergency. A – Air: The purpose of the air step is sometimes mis-remembered. Taking a quick breath or two off the regulator isn’t enough. A proper air check means physically verifying the cylinder valve is completely open and taking multiple breaths while looking at an SPG or air-integrated computer. This allows you to ensure the tank valve is open, see how much air is available for the dive, verify the air monitoring device is functioning, and that the air tastes okay. Check your alternate air source and make sure your buddy knows where to locate it in an emergency. F – Final Check: As part of the final check, gather up all your gear (mask, snorkel, fins, dive light, camera, audible and visual signaling device, etc.) secure loose hoses and other objects that may dangle and damage the reef. 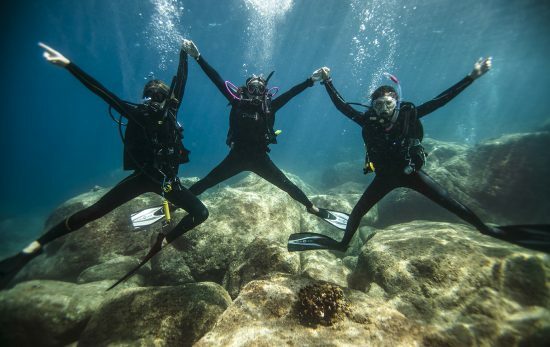 Do a head to toe check to ensure both divers are ready to go. The steps described above are meant to be a generic, quick review for divers using open circuit. Technical divers, rebreather divers and others should conduct safety checks appropriate to their diving activities. *Because this is the Professional Association of Diving Instructors after all, we’re not going to mention the BWRAFs that refer to women, baby wipes, inappropriate activities with rattlesnakes, etc. When you think about it, BWRAF is something you do everyday. Think about the checklist you go through before leaving your home: filling up your water bottle, taking a jacket, grabbing your phone, wallet, keys, etc. You’ve developed this leaving home procedure to ensure you’re prepared to deal with whatever situation may arise while you’re away. Whether you’re leaving home for the day, or leaving the air-breathing world for the underwater one, it’s important to be prepared. 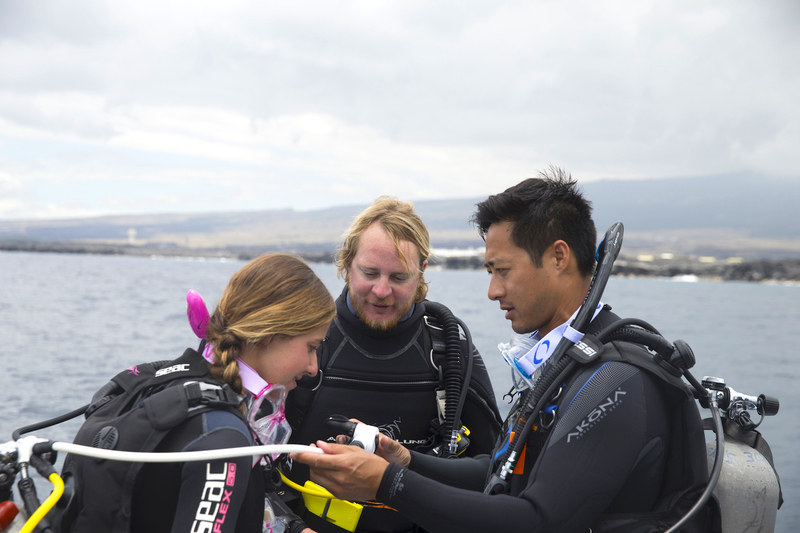 Doing a buddy check can help make sure your dive is about having fun rather than dealing with problems. Another way to gain peace of mind is to become a PADI Rescue Diver. During the course you’ll learn how to deal with problems through fun role-playing exercises and gain confidence in your diving skills. The Rescue Diver course truly is “serious fun,” and many divers tell us it’s their favorite of all the PADI courses.